Occupational Therapy has been a health care profession for over 100 years! Occupational Therapists help people of all ages across the lifespan live life to the fullest. We assist people in recovering from injury through rehabilitation techniques that address the physical body, the cognitive/emotional/mind, and the social/environmental aspect of coping with changes from injury that commonly occur in the home, work, and community settings in which people live. We also focus on prevention and health promotion! Occupational Therapy views humans through a holistic lens addressing all aspects of life. 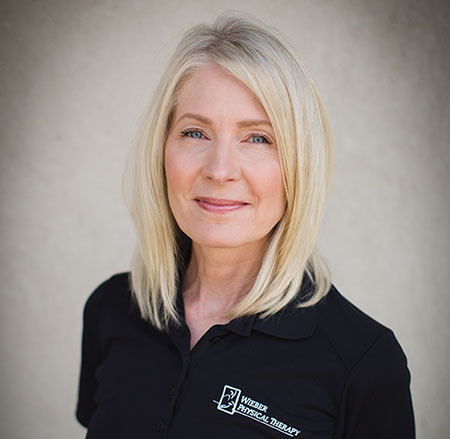 Ann has an extensive background in Occupational Therapy. This includes clinical treatment, health promotion/prevention and research that primarily focuses on treating conditions that affect the hand and upper extremity. These usually stem from musculoskeletal and neurological conditions/injuries. She is available for treatment and consultations on practically any condition that may be currently a barrier to you living life to your fullest! Read her staff profile at wieberphysicatherapy.com for more details. 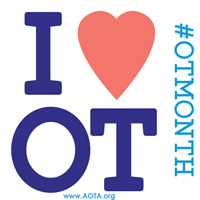 Celebrating Occupational Therapy the month of April! We welcome you to call or message us with any questions you may have or call to schedule an appointment if you are ready. Also, watch for more informational posts throughout the Month of April about Occupational Therapy and how it may pertain to you and your needs. Helping you get back to life! Previous Previous post: IF YOU DON’T WARM UP BEFORE EXERCISE…YOU…WILL…DIE!